A New Jersey company that offers advances to people awaiting settlements in lawsuits is itself being sued. The Consumer Financial Protection Bureau (CFPB) and the New York Attorney General allege that RD Legal Funding, LLC, scammed 9/11 first responders and NFL football players out of millions of dollars. 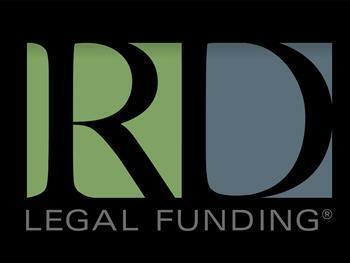 Besides RD Funding, the suit names two related companies and their owner, Roni Dersovitz. The suit alleges that RD Funding deceived 9/11 first responders with cancer and other illnesses and football players with brain injuries out of millions of dollars by luring them into costly advances on settlement payouts with lies about the terms of the deals. The suit seeks to put an end to the company’s illegal practices, obtain relief for the victims, and impose penalties. RD Legal targeted police, firefighters, paramedics, and others who were first responders to the World Trade Center attack on September 11, 2001. Many of these first responders suffer from cancers and other respiratory illnesses related to their exposure to dust and debris at the attack site, post-traumatic stress disorder, depression, and memory loss. They were awarded money from the Zadroga Fund, established by Congress to assist with needs including mounting medical costs and lost income because of their inability to work. RD Legal also targeted former NFL players who have been diagnosed with neurodegenerative diseases such as Alzheimer’s and Parkinson’s disease and were entitled to payments from the settlement in a class action lawsuit. The suit alleges that RD Legal contacted these consumers after they were awarded their money but before they received most of it. RD Legal then swooped in with a “deal,” offering the victims an upfront payment of some of the money they had not yet received which would be paid back when they received the balance of the payout. Through confusing contracts, RD Legal misrepresented to consumers their obligation to repay these expensive transactions, often collecting from the consumer more than twice what RD Legal had advanced months earlier, the suit charges. It alleges that RD Legal’s actions cost victims, many of whom suffered long-term physical or cognitive harm, millions of dollars.